Geneva – Deadly violence has forced millions of people from their homes in the Democratic Republic of the Congo (DRC), bringing the total number of internally displaced persons in the country to 4.5 million. The funding levels required to address the enormous needs have not been met. Only 11 per cent of IOM, the UN Migration Agency’s appeal for 2018 (USD 75 million) has been funded. The DRC is in urgent need of humanitarian funding to respond to the deteriorating situation and save lives. Today (13/04), the UN Office for the Coordination of Humanitarian Affairs (OCHA), the Kingdom of the Netherlands and the European Union are hosting a Humanitarian Conference on the DRC at the UN Office in Geneva. IOM’s appeal launched last December is a part of the overall humanitarian response plan, which calls for USD 1.68 billion to implement. “Confronted with rising intercommunal tensions, political instability and an increasingly insecure environment, the international humanitarian community needs to strengthen its support and commitment to the Congolese people,” said Jean-Philippe Chauzy, IOM DRC Chief of Mission and representative at the conference. 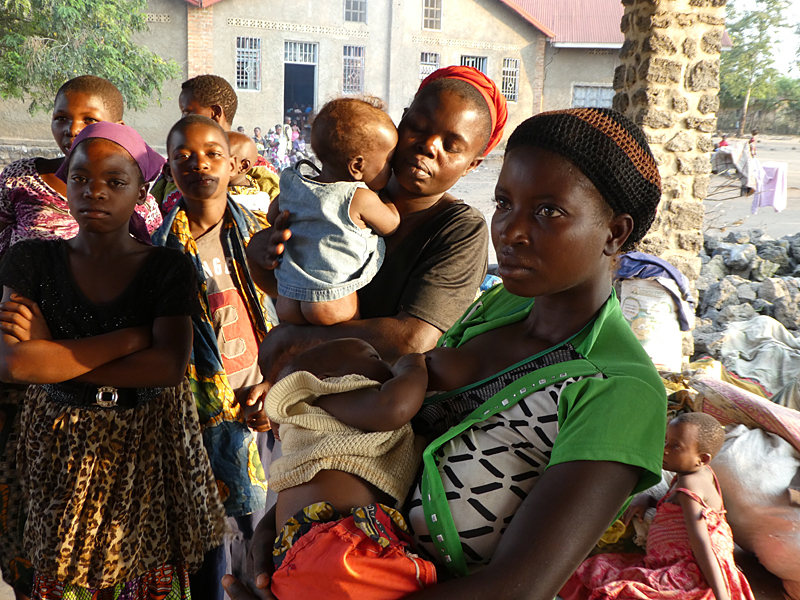 IOM provides humanitarian assistance in 26 displacement sites in North Kivu and Tanganyika provinces, which host some 97,000 internally displaced persons. In 2017, IOM assisted 6,182 displaced households with shelter assistance, some 199 survivors of gender-based violence with medical and/or psychosocial support, as well as income-generating activities, and reunified 256 unaccompanied and separated children with their families. Some 1,950 displaced children and youth have been provided with educational support from IOM, since the start of 2017. Through co-chairing the province’s working group on displacement sites, IOM builds capacity on camp coordination and camp management among internally displaced persons, local partners and Congolese authorities. IOM provides life-saving services to some 200,000 crisis-affected people in the Kasai province, by providing them with access to health care, water, sanitation and hygiene as well as implementing preventive measure against gender-based violence. In the last year, IOM’s displacement tracking team has collected information on some 586,580 internally displaced persons and 1,328,754 returnees in the three provinces of North Kivu, Tanganyika and Central Kasai. “We simply cannot ignore the speed, and magnitude of the crisis in the DRC. The international community needs to step up its support and strengthen its commitment to the people of DRC. Equally important, is to strengthen the efforts to stabilize the country – helping the DRC Government to find a way out of the spiralling crisis,” said Chauzy. The IOM Humanitarian Appeal for the Democratic Republic of the Congo is here.